Physiotherapy is an evidence-based healthcare profession that plays an important role in the promotion of health and well-being, and injury and disease prevention. Physiotherapists also play a vital role in the treatment and physical recovery from injuries and disease. A physiotherapist works with individuals of all ages, and use specialized hands-on skills to assess, diagnose and treat them, with an individualized plan of care. Physiotherapists also work with individuals with any physical injury or limitation, including low back pain, neck pain, arthritis pain, pre- and post-surgery, post motor vehicle accidents and those who have sustained sports injuries. Injuries or limitations to muscles and joints in the back, neck, shoulder, elbow, wrist, hand, hip, knee, ankle and foot, and all be effectively treated by a physiotherapist. Decrease or Eliminate Pain: Physiotherapy can help you decrease or completely eliminate your pain. One of the primary goals of physiotherapy is to help you become pain free. Increase Function and Joint Mobility: Physiotherapy helps to improve function and joint mobility following an injury or health condition. Seeing a physiotherapist is also effective for individuals who do not have an injury or health condition, but have general aches and pains, and/or who want to increase their function and flexibility to help maintain a healthy and active lifestyle. Increase Strength: Physiotherapists can work with you to strengthen your body after an injury or health condition, to help restore function. You can also benefit from physiotherapy to improve your strength even if you do not have an injury or health condition, but want to work on maintaining a healthy and active lifestyle and to help prevent injuries. Restore Activity Levels: After sustaining an injury or health condition, a physiotherapist can help you return to your previous activity levels through hands on treatment and exercise prescription. Reduce Need for Pain Medications: Physiotherapy is a medication free healthcare profession, which can help reduce your pain. As a result, working with a physiotherapist may enable you to reduce your need for pain medication, and even help abolish the need for pain medication. Improved Sleep: Pain can negatively impact your ability to sleep at night. Working with a physiotherapist to help control your pain, may help improve your sleep, which is important to help your body heal and recover. 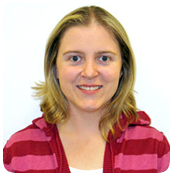 Erin Berry is a Registered Physiotherapist receiving her degree from Queen’s University in 2005. She also received a Masters of Science Degree in Healthcare Quality from Queen’s University in 2014, and an Honours Bachelor of Kinesiology from McMaster University in 2001. In 2006 she attended Curtin University in Perth Australia, to complete a Graduate Certificate in Orthopaedic Manual Therapy. Erin also has an interest in acupuncture and has received her certification through The Acupuncture Foundation of Canada Institute. Erin has physiotherapy experience from both hospital and private practice settings. In June 2005 she spent 6 weeks volunteering as a physiotherapist with the Red Cross in Guyana, South America. She has worked alongside back, shoulder and knee orthopaedic surgeons, as well as sports medicine physicians. She has worked with individuals of all ages and physical abilities from elite international level athletes to the weekend warrior to you. Prior to starting up Berry Physiotherapy, she spent four years working in a large sports medicine clinic, and for the last two and a half years was the Head Physiotherapist. She started up Berry Physiotherapy to meet the needs of individuals who are unable to get to a clinic, and bring physiotherapy services to their home. Erin also has a passion for helping individuals with their weight loss goals, through physical activity and active lifestyles. Many people either do not know how to start an exercise program, have injuries, or are unsure what they should and should not be doing. All physiotherapy sessions are exclusively with Erin Berry, who is an experienced Registered Physiotherapist.